Orders, either to a Customer or Designer, will normally be fulfilled within 2 business days of receipt. Additional 2-7 days are then required for delivery depending on shipping method chosen. IF I PLACE MY ORDER TODAY, WHEN DOES IT SHIP? With the significant volume of orders received daily, we strive to have all orders fulfilled within 2 business days of receipt. This timeframe includes the necessary time needed to verify orders prior to being shipped to ensure accurate processing. Unfortunately, due to our fast fulfillment times, we are unable to make changes to orders once they have been placed. If you put an invalid mailing address, your order will ship to that address be returned to the warehouse. A new shipment will have to be generated an additional ship charge will apply. I HAVE QUESTIONS REGARDING MY ORDER. WHO SHOULD I CONTACT? If you have any questions regarding your order, please contact your Origami Owl Designer. If you are unable to reach your Designer, our Customer Care team is also available to help you. Contact us here , or call Monday through Friday 10 a.m. - 7 p.m. (CT) at (888) 491-0331 . We accept the following forms of payment for online transactions: MasterCard, Visa, American Express, Discover and cash via PayNearMe.com (cash payment may not be available during some promotional offers). ARE THERE PRICE ADJUSTMENTS IF AN ITEM I PURCHASED GOES ON SALE? At this time, we do not offer price adjustments. Origami Owl is committed to protecting your personal information providing a secure online shopping experience. We use industry standard encryption password protection technologies such as an SSL (Secure Socket Layer). This is a technology used by online sites to provide secure online transactions. WILL MY PERSONAL INFORMATION BE SHARED WITH ANY THIRD PARTIES? At Origami Owl, we value your privacy. It is our policy never to sell, rent, barter or trade personal information with any third parties. MAY I STILL ORDER IF I LIVE OUTSIDE THE UNITED STATES? At this time, Origami Owl only accepts orders within the fifty (50) United States, Canada, Puerto Rico, Virgin Islands, Guam, American Samoa, Northern Mariana Islands, Federated States of Micronesia, Palau APO/FPO addresses. Origami Owl only offers Standard shipping to domestic P.O. Boxes, Puerto Rico, US Territories APO/FPO Military addresses. * For your protection, we will not ship merchandise if we are unable to verify your billing address. *Shipping methods are subject to change depending on final destination. *Shipping rates subject to change without notice. *Business Days: Monday through Friday (does not include weekends or holidays). Processing and shipping timelines are estimates and cannot be guaranteed. *Delivery - We ship through the best carrier available. Origami Owl shall not be held responsible for any delay in shipment that is caused in whole or in part by circumstances beyond our control. You will receive an email containing your tracking number once your order ships. If you have questions about the shipment of your order, please contact your Origami Owl Designer. During periods of increased demand, including holidays or new product launches, you may experience a delay in the shipment of your order. We strive to always ship available items within 2 business days of order submission. Please allow additional time for shipping, based on your preferred selected shipping method. For returns, replacements for defective or missing items, click here to access our online return request form. Please let your Origami Owl® Independent Designer know of any order issues within 30 days from the date of purchase. Don’t forget to keep your receipts! If you don’t know who your Designer is, or you can’t reach her or him, please contact us here. Orders received with missing or damaged items must be reported at Returns.origamiowl.com within 30 days of ship date. To make an exchange for a different item, please reach out to your Designer, or you can submit a claim within 30 days to receive product credit for the cost of the initial items purchased and use that credit to purchase a different item. For a replacement due to a manufacturers defect, please submit a claim within 90 days of original order ship date and we will replace the item. If the item is no longer available, we will issue a product credit to your account. For a refund, please submit a claim within 30 days of original order shipment date and we will issue a credit back to the original form of payment. Any refund requests submitted after 30 days of the ship date will receive a product credit to the account. We reserve the right to send a RMA (Return Material Authorization) before providing replacements, refunds or credits to help support our quality assurance efforts. Inscriptions® items are non-cancellable, non-returnable and non-refundable, with the exception of manufacturing defects, or if visual previewing is drastically different from the actual personalized product when delivered. Online previewing is intended to represent how the final product will look, but subtle differences will occur. Please note: This warranty does not cover merchandise damaged through normal wear, accident or misuse (glass breakage due to mishandling, wearing in water, etc.). Upon receipt of your order, please check it carefully for accuracy. ALL OTHER WARRANTIES AND GUARANTEES ARE EXPRESSLY DISCLAIMED. For any discrepancies or returns, please contact your Origami Owl Independent Designer. Please use our online claim form , or call us at (888) 491-0331 , Monday through Friday 10 a.m. - 7 p.m. (CT). HOW DO I CARE FOR MY ORIGAMI OWL JEWELRY? Handle with care: The glass on your Living Lockets™ is fragile can break. Handle with caution. Avoid water: Always remove your jewelry before entering water. Living Lockets are not waterproof. Polish: Our jewelry is made with real metals will naturally tarnish with time. To keep it looking as good as new, gently rub all pieces with dry polishing cloth in a circular motion until shine is restored. To polish your CORE sterling silver jewelry pieces, use a sterling silver polishing cloth. Remove: Take off your jewelry when using harsh chemicals, applying beauty products or perfume and avoid extreme heat or cold. WHERE IS ORIGAMI OWL JEWELRY MANUFACTURED? 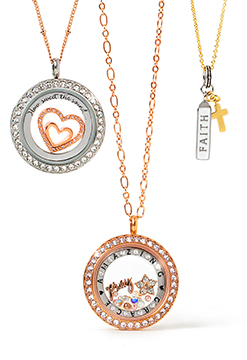 Origami Owl manufactures jewelry in the United States and Asia. Our creations are designed by Origami Owl are lovingly crafted by highly skilled jewelry artisans. HOW DO I CONTACT ORIGAMI OWL? As a customer, your first point of contact is always your Designer. If you have questions for Origami Owl's corporate office, you can contact us directly here. To speak with a friendly Customer Care representative call (888) 491-0331 Monday through Friday 10 a.m. - 7 p.m. (CT). I HAVE AN AWESOME IDEA - WHERE DO I GO? 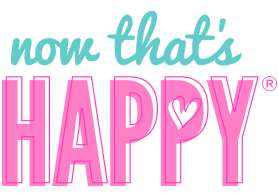 Origami Owl loves your feedback we always look to expand our selection of what we have to offer. Please add all product suggestions to our Wish List. WHAT ARE THE REQUIREMENTS TO BECOME AN ORIGAMI OWL DESIGNER? 11 – 17 year olds may also join as an “Owlette”when a parent, guardian or adult mentor becomes a Designer. HOW DO I PURCHASE JEWELRY AS A DESIGNER? Designers may order any variety of jewelry products from our collections at 20-50% off retail through their Origami Owl Back Office. There are many ways to earn income with Origami Owl's line of customizable jewelry, such as hosting in-home Jewelry Bars, Facebook Jewelry Bars, events, utilizing your personalized e-commerce website, or by mentoring others on how to share Origami Owl's unique jewelry experience. We offer a very special, customizable product the opportunity to earn money in a career that's fun and flexible. Our Career Plan is designed to provide the correct path for success incentives that will compensate you. HOW MUCH MONEY CAN I EXPECT TO EARN AS AN ORIGAMI OWL DESIGNER? The best part of a career with Origami Owl is that there are so many ways to be successful! The amount of money you may make as a Designer will depend upon many factors, including your personal goals and the amount of time effort you choose to invest. As a Designer, you decide how many hours you want to work. Many Designers operate their businesses part-time, with the goal of meeting short-term financial goals. Others choose to build their business to the extent that they are able to leave their current job focus full time on their Origami Owl career. How much you earn is totally up to you! HOW MUCH INVENTORY DO I NEED TO PURCHASE AS AN ORIGAMI OWL DESIGNER? The first thing to remember is that purchasing inventory is a personal decision it's certainly not a requirement for you to begin your Origami Owl business. We always recommend that you decide what activity level you intend to pursue in your new venture then invest in a level of inventory that supports that activity. Remember, you can hold an amazing Jewelry Bar with the jewelry that comes in a Starter Kit! Origami Owl provides many materials designed to help you succeed. You also have the opportunity to ask other successful Designers, such as your personal Mentor for tips advice on selling Origami Owl Custom Jewelry and sharing the Origami Owl opportunity. AM I ALLOWED TO PROMOTE MY BUSINESS OR OTHER PRODUCTS ON MY SOCIAL MEDIA CHANNELS? Yes. However, Origami Owl Designers may not promote their personal business on the Origami Owl Facebook page or respond to anyone looking for a Designer in their area. Visitors to our page may not promote any other product or income opportunity unrelated to Origami Owl on our Facebook page. HOW OFTEN DOES ORIGAMI OWL INTRODUCE NEW PRODUCTS? In a marketplace driven by innovation, it is critical to stay competitive by frequently introducing new products. Origami Owl is always innovating new products to keep up with current trends. Fresh new innovations in unique one-of-a-kind jewelry pieces will always have a special place in our hearts and the hearts of our customers and Designers. As we introduce new jewelry, we strive to design packaging that not only complements our jewelry but also displays our sophisticated whimsical branding elements. Complete the Designer Enrollment form online. If a Mentor shared this opportunity with you, you'll need the last name Designer ID # of the Mentor – or simply join from their personal webpage. Kick off your new business as an Origami Owl Designer by holding your first Origami Owl Jewelry Bar! Designers have the opportunity to sell products from their personal inventory instantly and keep the profits. For commission from the Designers personal webpage, the Designer’s commission payments will be paid directly to a PayQuicker account, which the Designer sets up when he or she enrolls. Sales commissions are paid weekly monthly (depending on the type of payment). Bonuses paid from mentoring a team are paid monthly.